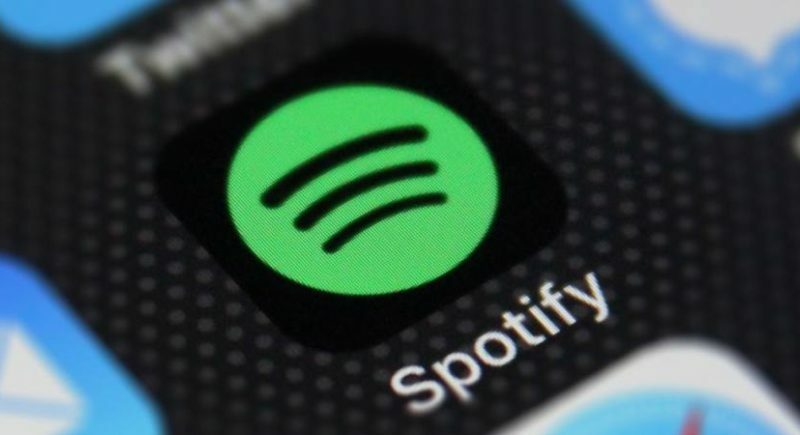 Researchers from the cybersecurity firm AppRiver have discovered a phishing campaign specifically targeting Spotify users. 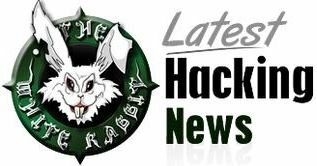 The attack method includes luring the targeted users to click on malicious links via emails. Once done, the malicious page asks the victim to enter his/her login credentials that of course are transmitted to the attackers. 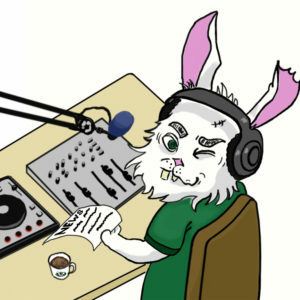 The researchers have explained their discovery of this Spotify phishing campaign in their blog post. 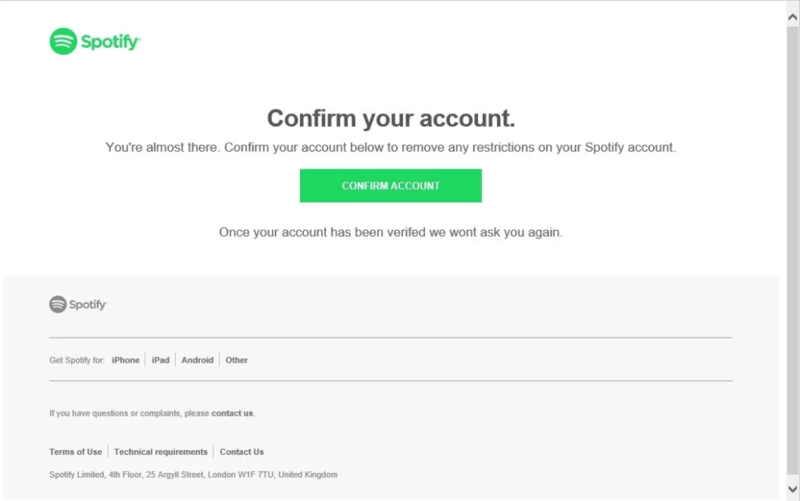 As explained in their report, the phishing email asked users to click on a given link to confirm their Spotify account in order to remove any restrictions. Upon clicking the green button, the user sees a new window with a login page. 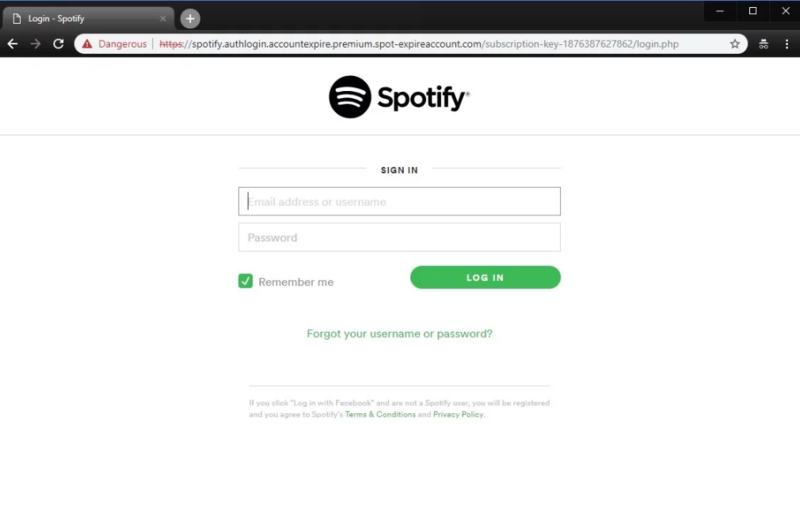 This malicious site looks quite similar to the legit Spotify login site to confuse the victims. At this point, as the victim enters their login credentials, he/she loses the account details to the attacker. It seems the attackers forgot to spoof the sender’s email address. Nonetheless, even they do now, the researchers have pointed out some other identification marks. In case a user clicks on the green button, a quick look at the URL in the browser’s address bar will indicate the issue. 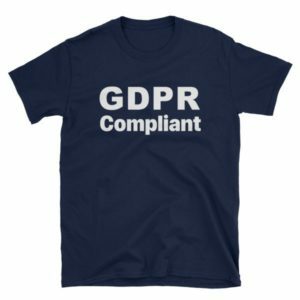 To stay protected from such attacks, the users should always scrutinize incoming emails, particularly those asking for login details or other sensitive information. The AppRiver researchers also recommend checking the sender’s email address before trusting an email. 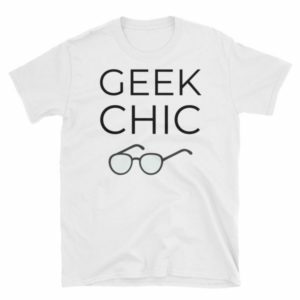 Besides, they also recommend checking out links first by hovering the mouse on clickable buttons, before actually clicking on them.